Pre-primed with acrylic gesso and ready to paint, Gessobord's fine tooth finish is delicate enough for glazing, fluid brush strokes, and tight detail, yet tough enough to hold up to rigorous palette knife painting, collage, and masking techniques. 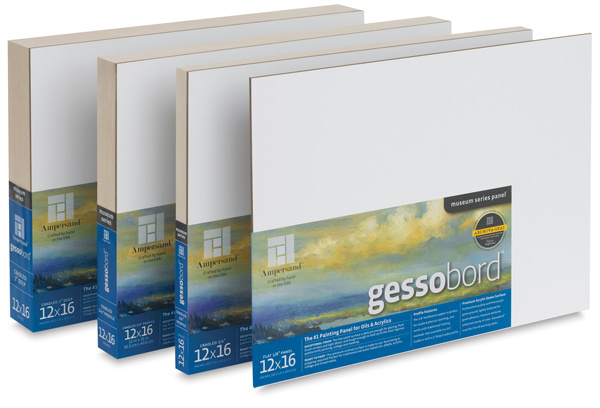 ™ Ampersand is a trademark.™ Gessobord is a trademark. ™ Hardbord is a trademark.